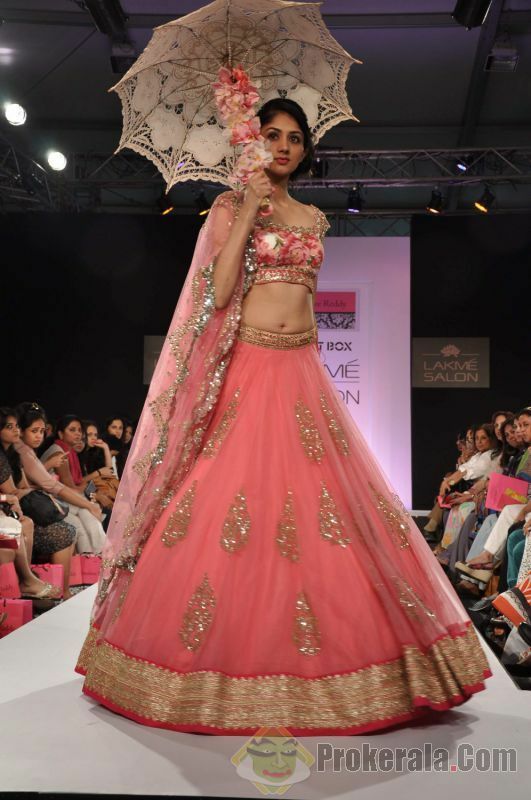 Make sure you rock this dandiya season with these simple 9 ways of dressing traditionally. If you have a bottom heavy body, better known as a pear-shaped body, opt for lehengas and sarees in materials which cling to your body instead of giving it extra volume. In this case materials like chiffon and georgette would be your best bet, whereas a stiff silk or a lehenga with a netted covering will only make your bottom look heavier. If you have a top heavy body or an apple shaped body (where your bust and your stomach are heavier than your bottom and your legs) try these simple hacks to hide it. Opt for a plunging neckline on a blouse which will come all the down to your navel. You can also tie your ghagra slightly higher than your navel to get rid of the unsightly love handles. 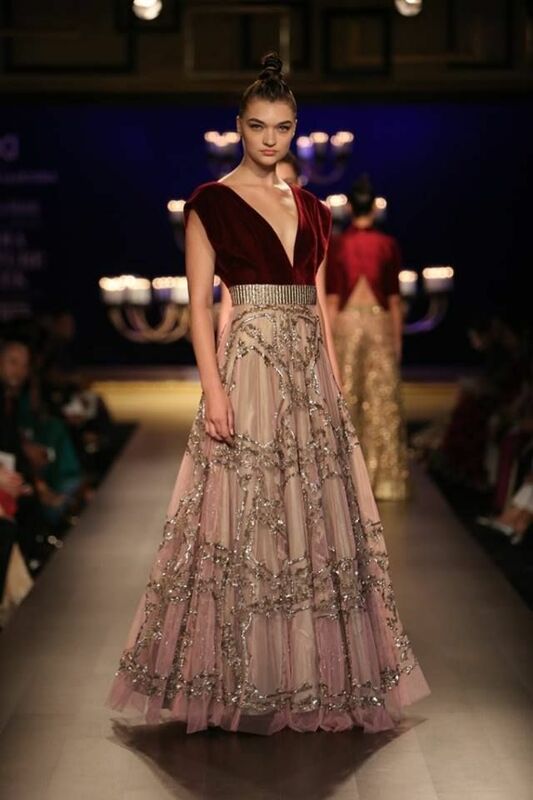 When looking at a dupatta that matches your lehenga, make sure you don’t pick a see through one, because that may draw attention to your midriff. If you are really skinny on the other hand, head straight for the organza and the georgette so that it will enhance your figure and give you volume where you need it. Stiff silk and cotton are your other choices. You can also go for a flared cut, instead of opting for something that fits too snugly, so that you create an illusion of fullness. We often wonder what colors look good on us. There’s no such blanket rule, except if you are trying to look slimmer go for a dark color like a black or a deep blue. If you are trying to look fuller, opt for a pale color like a cotton candy pink or a mint green. The rest depends on your coloring and what you think you could comfortably pull off. 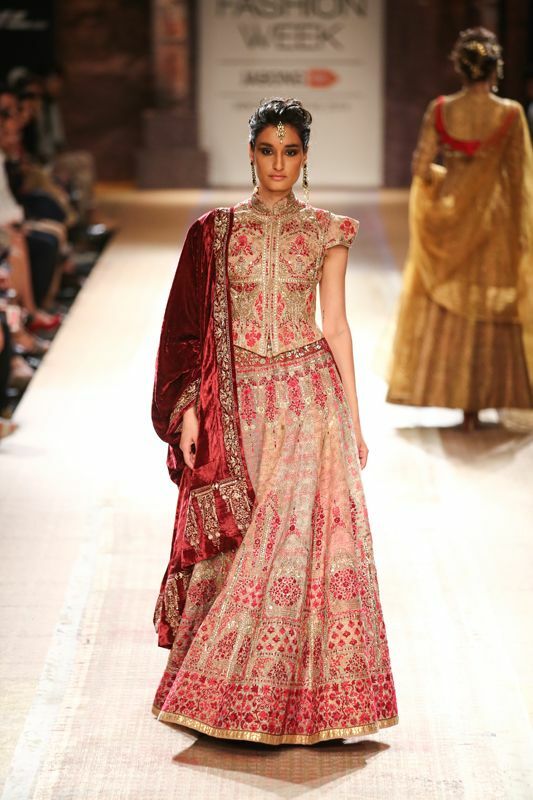 For those of you with a smaller bust, go ahead and experiment with the cholis of your lehengas. You can go for really high necks, because the higher your neckline, the fuller your bust looks. You could even go for halter blouses, as they are created to add a little glamour without any cleavage. Stay away from spaghetti straps and they will only make you look flatter in the bust area. The good news is, you can go ahead and add embellishment to your blouses, as that goes a long way in making your bust appear fuller. If you have a large bust, you had better stay away from closed necks. The truth is that deep necks really help make your bust look more proportionate. You can opt for backless blouses as well, to take focus away from the bust. Flabby arms are woe to all of us. We would love to have the gorgeously sculpted arms like some of those gorgeous Bollywood actresses, but often we realize we have a dandiya night to go for, and nothing that suits our arms. The first thing to remember is to stay away from halter necks, they create a little fold around the armpits for those of us with flabby arms. Opt instead, for Vidya Balan style three quarter sleeves with plunging necks and back to balance it out. If you think that’s too aunty-types for you, then go for cap sleeves or half sleeves. They will also serve to keep the upper arm flab away from the prying eye. How many of us have bravely made the decision to wear heels during navratri and ended up not making it even for an hour?! Give comfort some priority this navratri and stay away from those high heels. No matter how much you break them in, trying to dance in high heels is a bad idea. 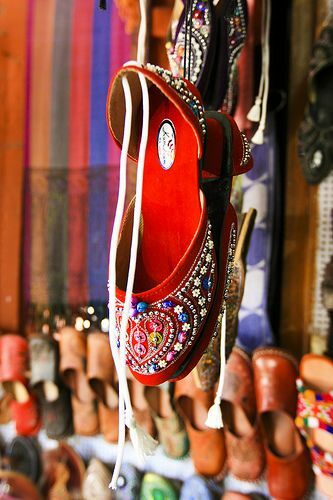 Best go for flats, like gorgeously embellished jutis instead. We Indians have a way of over doing the jewellery angle a little too much. That’s all okay for a wedding but for navratri, do yourself a favor and skip the gaudy necklace if you are wearing huge earrings. Add a maang tika or a gorgeous headdress instead and let your neck go bare. Don’t pair your lehengas with watches, instead choose a set of bangles that work with it. Keep your jewellery minimal but tasteful. Now that you are dressed to perfection, go out and flaunt your moves this navratri!